Arise, O Lord, and judge your own cause. Remember your reproaches to those who are filled with foolishness all through the day. Statement (1 July 1517), when he created 30 new cardinals. Another priest, who seemed to him also worthy, was nominated during the ceremony. Lying teachers are rising, introducing ruinous sects, and drawing upon themselves speedy doom. Their tongues are fire, a restless evil, full of deadly poison. They have bitter zeal, contention in their hearts, and boast and lie against the truth. Some, putting aside her true interpretation of Sacred Scripture, are blinded in mind by the father of lies. That heretics be burned is against the will of the Spirit. Sins are not forgiven to anyone, unless when the priest forgives them he believes they are forgiven; on the contrary the sin would remain unless he believed it was forgiven; for indeed the remission of sin and the granting of grace does not suffice, but it is necessary also to believe that there has been forgiveness. By no means can you have reassurance of being absolved because of your contrition, but because of the word of Christ: "Whatsoever you shall loose, etc." Hence, I say, trust confidently, if you have obtained the absolution of the priest, and firmly believe yourself to have been absolved, and you will truly be absolved, whatever there may be of contrition. The Roman Pontiff, the successor of Peter, is not the vicar of Christ over all the churches of the entire world, instituted by Christ Himself in blessed Peter. The word of Christ to Peter: "Whatsoever you shall loose on earth," etc., is extended merely to those things bound by Peter himself. It is certain that it is not in the power of the Church or the pope to decide upon the articles of faith, and much less concerning the laws for morals or for good works. If the pope with a great part of the Church thought so and so, he would not err; still it is not a sin or heresy to think the contrary, especially in a matter not necessary for salvation, until one alternative is condemned and another approved by a general Council. A way has been made for us for weakening the authority of councils, and for freely contradicting their actions, and judging their decrees, and boldly confessing whatever seems true, whether it has been approved or disapproved by any council whatsoever. 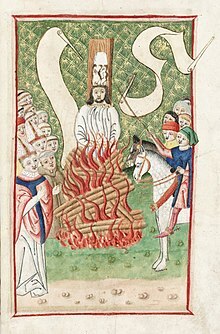 Some articles of John Hus, condemned in the Council of Constance, are most Christian, wholly true and evangelical; these the universal Church could not condemn. In every good work the just man sins. A good work done very well is a venial sin. To go to war against the Turks is to resist God who punishes our iniquities through them. Widely attributed to Leo X, the earliest known source of this statement is actually a polemical work by the Protestant John Bale, the anti-Catholic Acta Romanorum Pontificum, which was first translated from Latin into English as The Pageant of the Popes in 1574: "For on a time when a cardinall Bembus did move a question out of the Gospell, the Pope gave him a very contemptuous answer saying: All ages can testifie enough how profitable that fable of Christe hath ben to us and our companie." 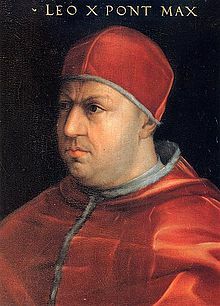 The Pope in this case being Leo X. Later accounts of it exist, as recorded by Vatican Librarian, Cardinal Baronius in the Annales Ecclesiastici (1597) a 12-volume history of the Church. In a more modern polemic, "The Criminal History of the Papacy" by Tony Bushby, in Nexus Magazine Volume 14, Number 3 (April - May 2007), it is stated that "The pope's pronouncement is recorded in the diaries and records of both Pietro Cardinal Bembo (Letters and Comments on Pope Leo X, 1842 reprint) and Paolo Cardinal Giovio (De Vita Leonis Decimi..., op. cit. ), two associates who were witnesses to it." Leo X succeeded Julius II, and under his pontificate, Latin Christianity assumed a pagan, Greco-Roman character, which, passing from art into manners, gives to this epoch a strange complexion. Crimes for the moment disappeared, to give place to vices; but to charming vices, vices in good taste, such as those indulged in by Alcibiades and sung by Catullus. The pope is a good-natured and extremely free-hearted man, who avoids every difficult situation and above all wants peace; he would not undertake a war himself unless forced into it by his advisors; he loves learning; of canon law and literature he possesses remarkable knowledge; he is, moreover, a very excellent musician. Cur Leo non potuit sumere: vendiderat. Leo lack'd the last sacrament. Why, need we tell? He had chosen the chalice and paten to sell. If by chance you ask why in his last hour Leo wasn't able to take the sacraments: he had sold them.